The Design Studio || Design: Kristina Stark. In the design studio Kristina is working with design both for her own production and also on consulting bases for other design companies. Kristina is always open for new and interesting collaborations and projects. You are heartly welcome with your inquires. 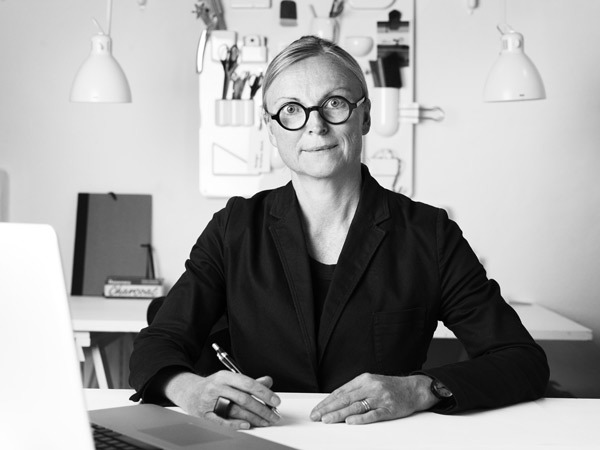 Kristina Stark holds a Master of Fine Arts degree in Industrial Design from Konstfack – the University College of Arts, Crafts and Design in Stockholm, Sweden. She also studied Product Design at Central Saint Martins College of Art and Design in London. For many years Kristina Stark has been working as a free lancer with domestic design, creating products and accessories for the home, the kitchen and the table for many clients in Sweden and abroad.